These days the main prerequisites of a door are that it's secure, aesthetically pleasing and environmentally friendly. 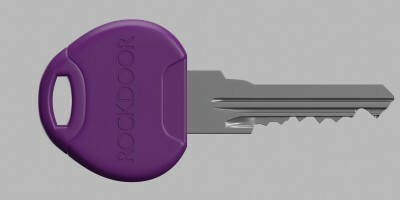 If you have the opportunity to open a Rockdoor you'll immediately feel how secure and sturdy they are. These doors are all made to measure and made in the UK. Rockdoor also guarantee that your door will never warp, crack or need painting and have a built in inner frame, making it more secure than the average door. Glass panels can also be added which is a great way to let light into a darkened hallway. Available in over 25 styles (including contemporary and traditional styles), 13 colours and a vast range of glass designs, you're bound to find the right Rockdoor for you. Click here to download a Rockdoor brochure.